iWindsurf Community :: View topic - Streamlined u-joint failure, recommendations? Word is Dave Dominy sold the company to a French outfit, and currently there is no US importer. I talked to Gary Stone at Isthmus and he said he is trying to strike a deal, but the new owner needs to reduce his asking prices to make products cost effective. When used in salt water, the hourglass oxides and separates from its metal mount. Mine failed after 3 months (was new). Rinsed daily. I saw a board floating with the same joint broken the same way... that was enough for me to move onto another design. PS: I also get feedback from rental centers. That would certainly explain the sudden and unexpected lack of service. I just need some spare parts to get my extension working again. The last time I needed spares parts Streamlined sent me the parts immediately as well as a link to a video on how to repair it (how's that that for great customer service). The bolt holding the cleat to the base snapped. Anyone know a marine supplier that sells proper stainless steel bolts and nuts? 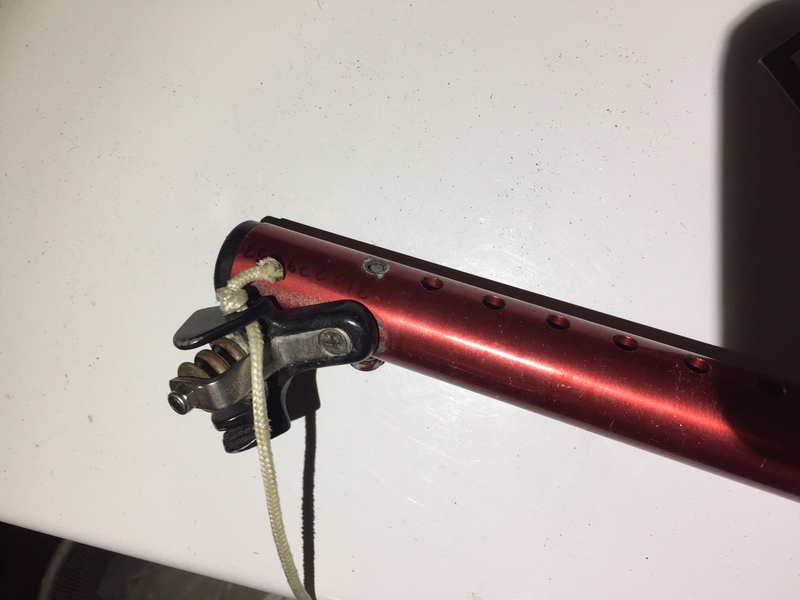 I bought one from West Marine that were supposedly stainless, but they started rusting almost immediately so I've stopped using my extension until I can get the right parts. Frustrating because the extension is in great condition otherwise. I tried taking my cleat off but couldn't, that thing is like welded on there by the oxidation. Try Murray's Marine, they are in Carpentaria, Ca. Yes, Streamlined has been acquired. Bummer to hear about the bolt snapping, that sounds like an outlier. Unfortunately, something like that is pretty hard to predict. If you want a virtually indestructible UJ, get a two bolt stainless steel Chinook EX Pin tendon joint. Perform routine maintenance on the tendon and the tendon nuts and bolts, and you'll have a UJ that will last a lifetime. I got one when they first came out, and I still have it and use it all the time. It still looks like new after more than 10 years of hard use. Back when I used US Cup UJs, yes, I would replace them every year, or two years max, but I was sailing a LOT back then. Euro pins can snap, sand can affect mechanism and they may disconnect. US clip, usually only one side snaps, the other is enough to keep the base attached. Of course the top bolt can snap like the Euro, even the plastic cup but I believe it doesn't happen as often? Just an observation - it looks like the metal components of the universal just above and below the tendon contact each other when the tendon is flexed 90+ degrees. I have a Chinook universal that is plastic and there is no wear and tear on the plastic components above and below the tendon. It's a few years old and looks like new. I should add that I use the same single bolt universal on three different boards. Design flaw? Maybe the board and sail are left in the water with the tendon flexed to the max and the wave action causes the metal parts to rub against each other. Something I rarely do. Here's a pic of my extension. I also have one of the old blue Streamlined extensions where the same thing happened, but Dave still owned Streamlined back then so I got the parts quickly.